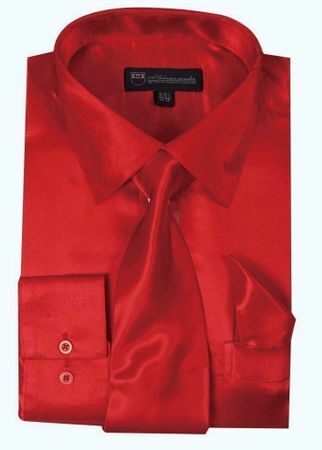 If you like the way a red silk shirt looks on other men when they go out dancing or performing, there is no reason that you can't wear they too. This red silk shirt features a classic regular fit that never goes out of style and is made of silky and shiny satin fabric. This red silk shirt is the perfect shirt to wear if you love listening to live music or playing live music for that matter.